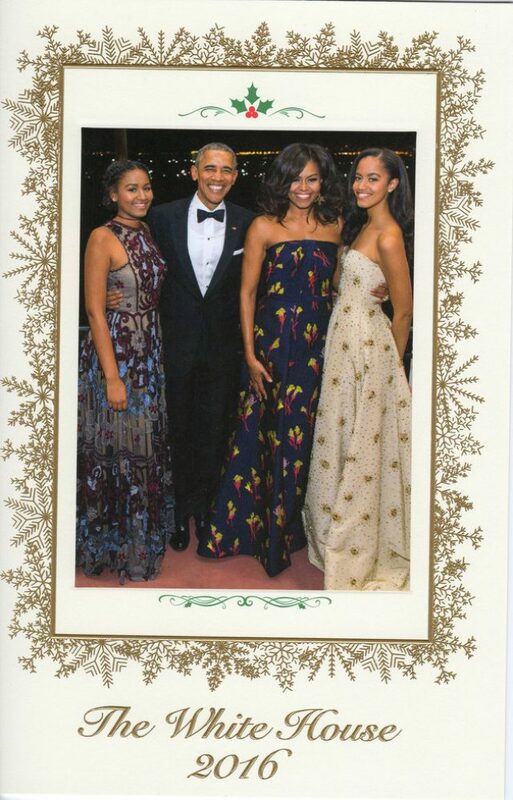 The Obamas sent out their last Christmas card from the White House, but some people have noticed a major problem with it. The photo was taken at a state dinner in March that honored Canadian Prime Minister Justin Trudeau and features Sasha Obama, Barack Obama, Michelle Obama and Malia Obama. 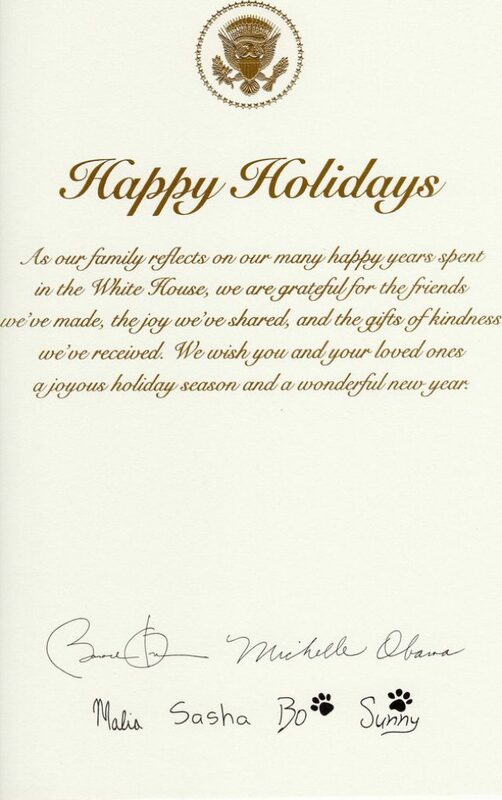 Though the family wishes everyone a “happy holidays,” the card makes no mention of Christmas. @BryanJFischer @RightWingWatch of course not. He is president of a secular nation.